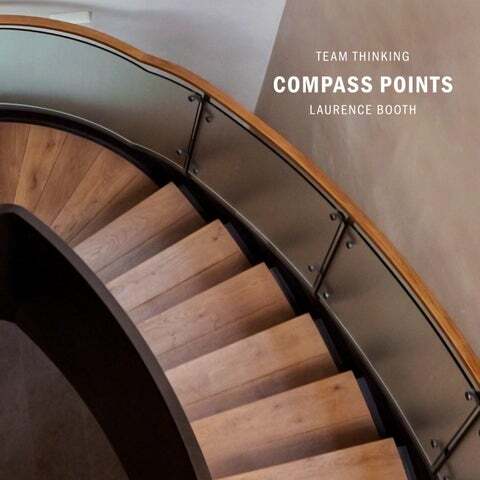 If designing a building is a journey, compass points help us find our way. COMPASS POINTS No other profession represents such a mix of technology and poetry, the practical and the beautiful, as architecture. Building a well-designed structure is an analytical process, also an intuitive one, and ultimately a composition of many elements. A work that performs at the highest level represents the integration of parts, drawn from varied sources, assembled creatively. 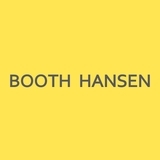 Booth Hansen, to achieve its benchmarks of excellence, approaches every new project as a collaborative venture, with the conviction that excellence is achieved through interaction involving many disciplines. Compass Points represents a guide to navigate toward a superlative result. It utilizes basic principles that all members of the Booth Hansen design team share, that apply to every architectural project, never the same way twice. Any point on the compass can unveil a fertile idea and inspire an auspicious project. Lines that connect ideas, mark interrelationships, and help move insights toward Total Performance Architecture. The message is simple: that excellence is achieved not by a sequence of steps, rather through a creative process that transforms goals into form, and timeless values into an innovative finished product. PERFORMANCE BEYOND ST YLE Total Performance Architecture is Booth Hansenâ&#x20AC;&#x2122;s standard of excellence, the ultimate objective of any work of architecture. Every benchmark set before a project is accomplished, from the utilitarian to the artistic to the sublime. Booth Hansen has created an unprecedented variety of buildings, with each maintaining a goal of total performance by focusing on client needs, distilling ideas, and integrating possibilities into uncomplicated form. TOTAL PERFORMANCE ARCHITECTURE â&#x20AC;&#x201D; The Cook County Courthouse for Domestic Violence recycled a 19th century warehouse into 12 courtrooms and necessary support facilities, since the site was an entire city block. Booth Hansen suggested rebuilding the alley facade with an enclosed screen providing an appropriate monumental entry facing a landscaped plaza and park to create a fully-performing courhouse from an empty warehouse. Each building project has its own realities. Any preconceived style will only get in the way. FOCUS SPARKS CREATIVIT Y Total Performance Architecture requires sustained focus on the unique needs of a project–from its structural system to the humanistic qualities that it seeks convey. Time and patience help reveal solutions to the complex program. Through imagination and iteration, elements of the evolving design are distilled, refined and assembled to become a finished work uniquely wellsuited to its function. THE MODERN SERVICE STATION — Larry Booth witnessed the deep roots of creativity in 1972 when he was a team member in a project to create a new service station for Atlantic Richfield. With the Center for Advanced Research and Design, architects, engineers, marketing experts and others began by listing more than 100 design objectives. These were coded and analyzed by a computer to reveal “bridges” where individual design elements might serve multiple functions. This preceded the creative work of combining, substituting, adapting, and ultimately refining elements of the optimal service station. The result appears modern even today. The design team resisted any solutions until they analyzed the needs of the modern service station. Dialogue with all workers and leaders of this industrial company led to the loading dock next to the front door. DIALOGUE REVEALS IDEAS Building a structure with complex functions demands participation from diverse voices and points of view. As ideas are proposed and discussed, many are embraced, modified and adapted to zero in on the project’s goals. Total performance occurs when seemingly disparate ideas are refined and assembled with seeming effortlessness in a finished work uniquely wellsuited to its purpose. BUILDING FOR BASIC NEEDS — As the owners of Republic Windows and Doors discussed a proposed new factory, their list of requirements included economy and a humanistic work environment. This prompted Booth Hansen architects to propose a building of modest materials in a stately profile, an open plan inside, and a single atrium entry–with an iconic industrial staricase– serving management and wage-earners alike. Keeping an open mind while looking for alter nat ive solut ions leads to the best results. IMAGINE POSSIBILITIES The design team brings many different viewpoints to a projectâ&#x20AC;&#x201C; technical and aesthetic, large scale and detailed. As each member of the team imagines elements of the finished product, a shared vision evolves. Ideas are distilled and adapted. Site plan, window treatments, structural systems and sustainable technologies are integrated as many ideas are drawn together by a common goal. THE EUCLIDIAN PUZZLE â&#x20AC;&#x201D; There are many ways to meet the complex requirements of a building. The best way will be discovered through experimentation. As the team visualizes approaches to assembling the pieces, the design takes on a fluid life of its own. Connections emerge, elements are integrated, and total performance takes form. Fresh ideas and forms should take root in our time-tested context. INNOVATION ECHOES TRADITION Innovation remains the overriding objective of modern architecture. As every project represents an unprecedented set of conditions — site, budget, aesthetic vision and many others — Total Performance is, by definition, a unique work of architecture. What constitutes true innovation? Technology is only one aspect. Innovation is also judged by its poetry, sustainability, and architecture’s timeless relationship with nature. CONVERTING A TIMELESS ICON — To convert historic Chicago’s Palmolive Building into luxury residences, Booth Hansen’s objective was to preserve the character of the original, while introducing elements of contemporary condominiums. In the renovation, floors were raised to contain modern utilities, effectively lowering windows and increasing the performance of natural light. Interiors feature a mix of styles made possible by the old building’s open and streamlined spaces, fashionable in the 1920s as they are today. SIMPLIF Y FOR BEAUT Y Simplifying form is often the most difficult of architecture’s many goals. To highlight an elegant profile in a bare bones structure, or to incorporate complex function in a building’s basic fabric–these objectives drive modernists as they do the classicists. Transparency, lightness and even weightlessness are sensations that Total Performance strives to attain, and they cannot be added, rather they are achieved by subtraction. IMPROVING THE NEIGHBORHOOD — In the Parker Fulton Market (2015), clients were convinced that the once-gritty and now desirable neighborhood should be a part of the luxury apartment complex. Public areas of the building involve spaces that open generously to the street. Transparency and spaciousness are characteristic of the apartments above, in a building that rises above its low-rise neighbors but does not dominate them. Eliminate the mundane; Simplify the complex. CHAMPION HUMANISM A work of architecture functions in many ways, but it will be judged most decisively by how well it serves the humanistic needs of the people who use it. Beyond the requirements of economics, efficiency and even ground-breaking innovation, it is the traditional value of how a building “feels” that measures its long term value. For that reason, interaction with nature and the elevation of community become indispensable measures of a building’s total performance. A UNIQUE MUSEUM PROGRAM — The MacLean Museum outside Chicago houses a major collection of Asian antiquities in a building influenced by the courtyard concept of Chinese domestic architecture while also having the profile of a vernacular Illinois barn. Both ideas touch the building lightly and allow the splendid natural environs and timeless power of the art to speak for themselves. Human beings develop cultures and make histor y. Architect ur e must recognize this reality and context. Craftspeople only need to be asked to make beautiful buildings. CRAF TSMANSHIP CREATES CHARACTER In the remote past, the artisan’s hand infused every building with originality and humanity. Their stonework pointed cathedrals toward heaven, carved ornament animated their surfaces. Today, craftsmanship comports timelessness of any work of architecture. It amplifies the warmth of a residence, the majesty of an institution, and the spirituality of a place of worship. It reminds us that aesthetics are integrated with the utilitarian functions of shelter and livability. A TR ANSCENDENT RENOVATION — Timeless character infuses Booth Hansen’s renovation of Old St. Patrick’s Church (1994, 2004), which was decorated in the 1890s (decades after its construction) in the Celtic Revival Style. Much of the interior had been lost, but what remained enabled architects and artisans to create stencils, metal work, masonry, and an elaborate altar screen. The strength of the original work and the architect’s determination to recreate its spirit, illustrates the strength of craftsmanship to transcend the strict confines of a time and place. Connect ing architect ure to natural surroundings creates a spiritual experience. EMBRACE NATURE Nature accomplishes its sublime purpose efficiently. Architects have always discerned this quality, and total performance is frequently inspired by the flora, fauna and geology of the earth. In the best buildings, materials are basic, form is elegant, and the whole resembles a living organism in its interaction with terrain, sun, wind and other elements which meet its functional requirements. THE LEARNING CENTER at the Chicago Botanic Gardens is part of a natural environment, reflecting circular landforms, tucked into a broad prairie, and illuminated as much as possible by abundant natural light. As a place to teach the lessons of ecology, it shows how buildings harmonize with nature, visually and functionally, and need not clash with the gifts of nature. STEWARDSHIP DELIVERS VALUE Harmony with the environment has always stood as one of architecture’s highest standards. Architects are thus stewards of the places in which they build. They must make stewardship a standard of beauty and conservation of resources a highlight of the form-function calculation. AN ASSET TO NATURE — The Plant Conservation Science Center (2009) at the Chicago Botanic Garden blends many functions. Pylons underneath allow the natural functioning of the wetland site. Clerestories above provide natural light; they also have sunshades that prevent overheating in the summer and are laced with photovoltaic cells. The building’s flat profile, evocative of the Prairie style, accommodates a green roof which is a sustainable touch and useful for scientific planting. Designing with durable materials, simple forms, and constructable ideas will meet most budgets. Forming sacred space for a new function in an old loft building. Many eyes and minds are engaged in coordinating all the materials and assemblies in modern buildings. SWEAT THE DETAILS Architecture is assembled of many parts, some of which outwardly define a project, while others remain inconspicuous. It comes as no surprise that even hidden details are vitally important to the integration of form and function. The way columns meet beams, the way windows are attached to wallsâ&#x20AC;&#x201C;these have consequences beyond their size or visibility. As architects refine details to the finest tolerances, they craft the building as a sculptural object in which efficiency is a deeply aesthetic quality. CONTINUOUS REFINEMENT â&#x20AC;&#x201D; Booth Hansen team members meet continually to review elements of the buildings and the way they come together. Every person comes with strengths and is well suited to address engineering or aesthetics, exterior profile or interior finishes. As details are integrated, all team members champion the irreducible goal that form and function are united.